AVBOB was established in 1918 in Bloemfontein. Since then, they have grown into a multi Billion Rand mutual society. They have more than 2 million policyholders and insure around 6 million lives. 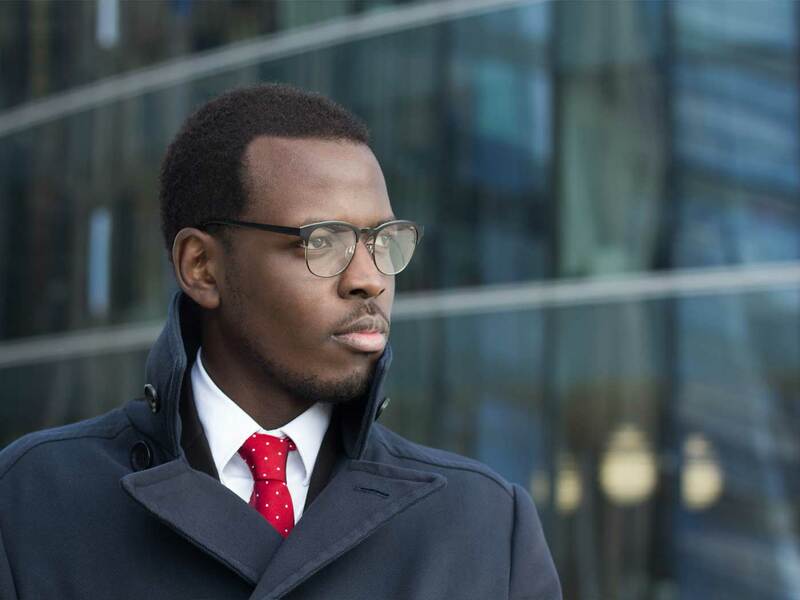 This provider is currently among the top insurance companies in South-Africa. They currently have around 8000 staff members and more than 300 branches. AVBOB Funeral Cover offers many great benefits. Choose either cash only, or cash with benefits. They take great care of their clients. 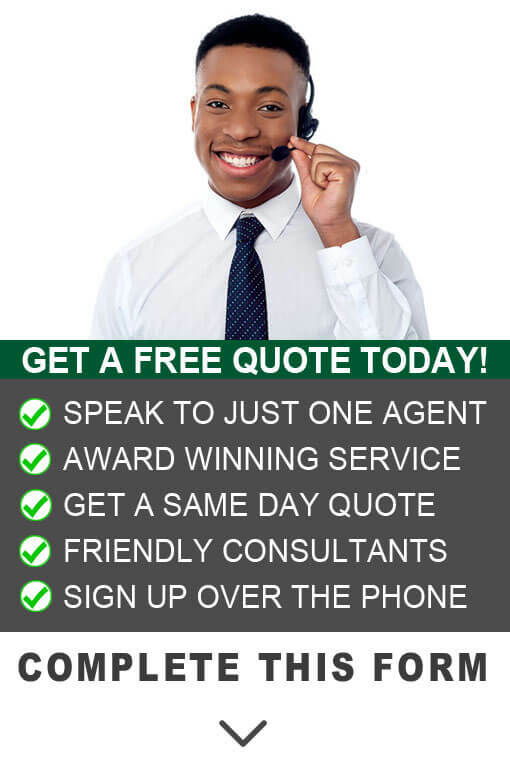 AVBOB offers an affordable, one stop funeral insurance solution. You & your family can rest assured. They can deliver most funeral services in-house. They want to make things as easy as possible. With this provider, the policy holder will not just be a client. You are a stakeholder in the company. You can benefit from the profits made by AVBOB. This is known as a mutual society. They have given back more than 8 Billion Rand in special bonuses in the last 10 years. AVBOB was voted one of the top 3 long term insurance companies by the Sunday Times. This should give you the confidence that they are top class. 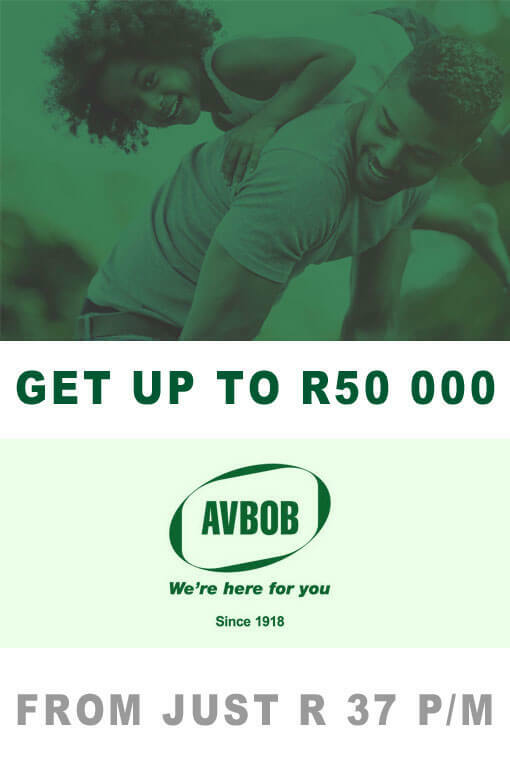 With AVBOB funeral cover, you get a free basic funeral up to R11 000*. The free basic funeral benefit is over and above the payout. You can minimize stress if they help with the burial arrangements. Trying to find all the services needed for a funeral can be hard. You decide the cover amount for each person. You can amend each person until you are 100% satisfied. Cover starts from just R37 p/m. With AVBOB, you get many free funeral services. You get a free benefits up to R10 000* over and above your payout. This includes use of hearse, tents, grave site, transportation of deceased & use of mortuary, etc. Your payout will automatically double in the event of accidental death. There are no waiting periods for accidental death. Insured lives will be covered from the first premium. You can cover as many of your own children as you want. You only pay for the first child, the rest will be covered FREE! AVBOB clients who make use of them to arrange the funeral get free use of a modern hearse, tents and chairs at grave site etc. 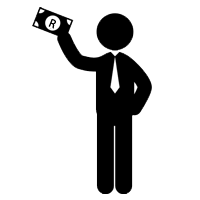 Policy holders can choose to let AVBOB arrange the funeral, or just take the cash. This is very convenient and super effective. Get FREE transportation of the deceased anywhere in South Africa. Cover from R5 000 up to R50 000 p/m. No medical examinations or questions. Free basic funeral included up to R10 000*. Transportation of the deceased anywhere in SA. Use of the AVBOB mortuary. Funeral arrangements (free and optional). 6 Month waiting period only for natural causes. Use of artificial grass around grave site. With AVBOB funeral cover, you receive many free benefits. The benefits have all been designed to make process as easy as possible. 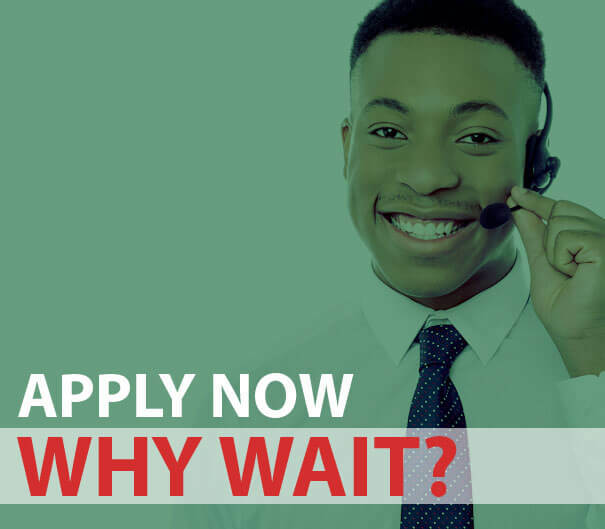 With over 200 branches all over South-Africa, you know there will always be an office just around the corner. AVBOB funeral cover is more than just an affordable. It’s a comprehensive funeral plan. You choose a cash payout only, or cash & funeral service. They can arrange everything from under one roof. 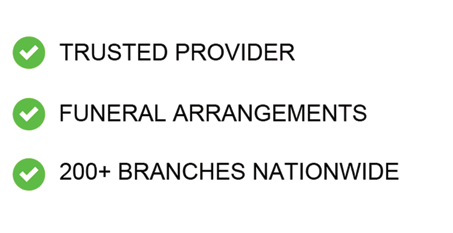 With the AVBOB funeral plan, you know you get a well-established provider. They will offer you as much help as possible. We received the award for top AVBOB broker in SA from 2012 to 2017. Affordable Funeral Cover starting from as little as R37p/m. That’s Less than R1.25c per day. AVBOB offers almost every product or service you can imagine. You can get everything from catering to a tombstone. Below are some of the additional services offered by AVBOB. It’s important to understand that the easier it is to arrange the memorial the less stressful it will be. Just click on the button to see more information. Conduct funerals over weekends to policy holders. Arrangement for catering at home or church. Arrangement for fresh flowers at the church. Arrangement for chairs at the grave site or church. Placement of funeral notice in your local newspaper. Arrangement for additional house tent. Arrangement for grave / cremation fees. Tombstone erected on the day of the funeral. Why Should I Get AVBOB Funeral Cover? Arranging a funeral can be very hard. With AVBOB, you can rest assured that you or your family will be taking care of. With AVBOB funeral cover, you know you get services over and above your cash payout. You get more than just a funeral plan, you get a quality service. They always go the extra mile to ensure that you or an insured family member gets the best funeral. With almost 100 years’ experience, AVBOB funeral plans are tailor made to fit your needs. 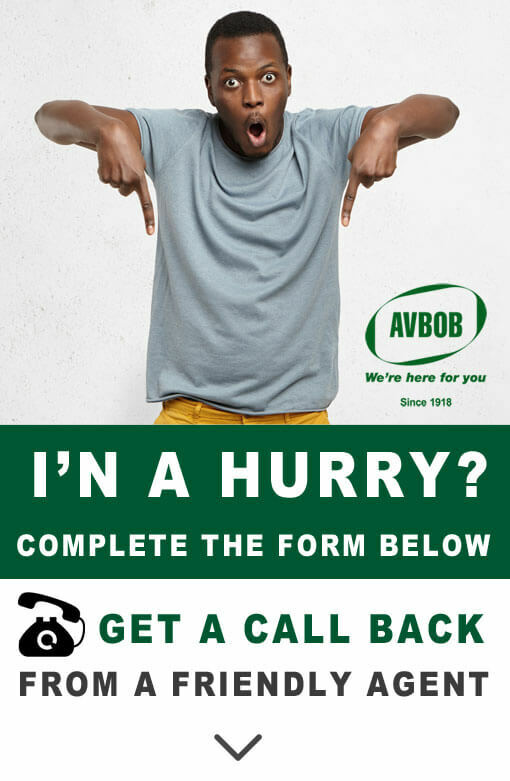 With an easy signing up process, you can get your AVBOB plan today. Simply complete the basic form and we will get in touch as soon as possible. Sign up to AVBOB funeral cover today. We have a blog post that summarizes the provider & products. We have to view the article “AVBOB Funeral Cover Synopsis” simply click on the link. This is not purely based on the policy description. We have combined some information purely based on our own experiences. 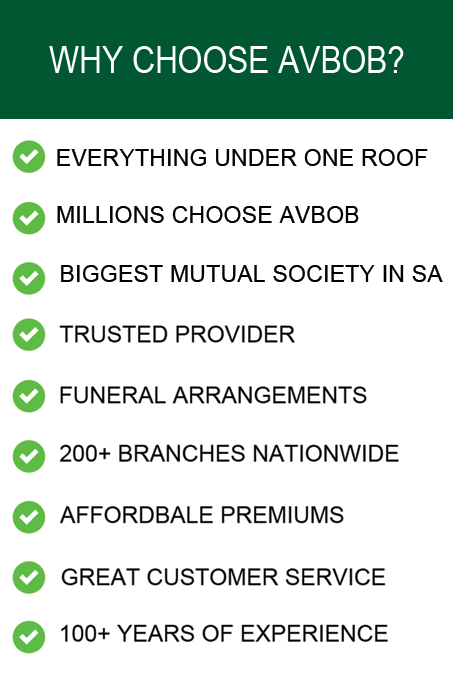 We trust that AVBOB funeral cover is one of the best funeral policies in SA. Feel free to read up as much as possible. Some folks in SA look after many family members. This is why AVBOB funeral cover allows you to add extended family. Firstly, you can cover your direct family. Direct family means your spouse, children & parents. You can also cover up to 6 family members. This includes siblings, uncles, aunts, grandparents, etc. AVBOB wants to make sure that you can cover almost any dependent. You can chop and change the cover amount for each person individually. It helps to control the monthly payment. You pay for just one child. The rest are covered for free. This benefit is only for your own children. What is the Cash Back Benefit? We all agree that sooner or later we feel robbed by insurance premiums. AVBOB offers an innovative solution to insurance premiums. If you don’t claim for 60 months, you will be eligible to receive 1 year’s premiums back in cash. AVBOB will pay back one year’s premiums every 60 months directly to you. Firstly, every funeral policy is unique. The premiums are calculated according to a couple of things. The ages of the insured lives is important. The older you are, the more expensive the cover will become. A normal policy can cover applicants up to 76 years old. After that, an elderly policy will be relevant with a fixed premium. The second thing will be the cover amount. The more cover you need, the more it will cost. This can be different for each member on the policy. 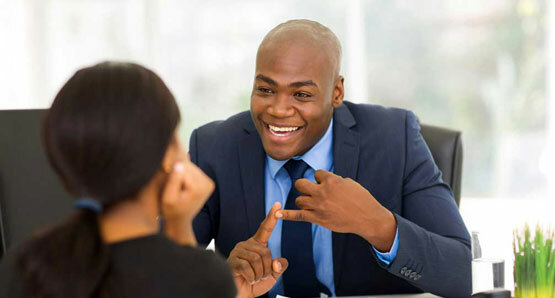 For example, the main life can be covered for R50 000 while others are covered for R10 000. The last thing will be your relationship to the person. It’s cheaper to cover your spouse than what it is to cover your uncle. Each person will be quoted separately. 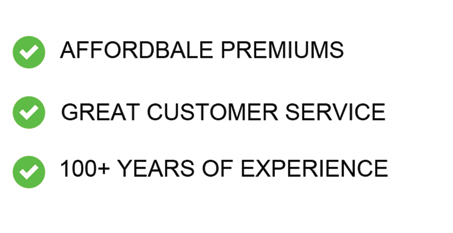 At the end of the quote, all the premiums are joined into one single monthly premium. Cover starts from just R37 per month. The maximum amount of cover a person can get is R50 000. Is This a Cash Only Policy? The great news is no. However, when it comes to claim stages, the person arranging the burial can decide. With AVBOB, you can either take the cash or have them arrange the funeral. We always suggest that you look into using them to arrange the funeral. They can provide almost all the services you require in-house. They understand the business and know exactly what to do. 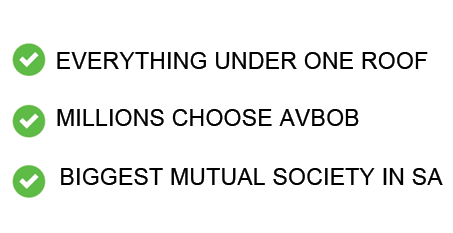 The beneficiary will decide what services AVBOB must take care of. All money that remains after all the arrangements will still be paid to the family. If you decide to use them for the burial services, you will get a massive amount of free benefits. They offer free services up to R16 000*. This includes a specified coffin & hearse. It also includes lots of the required funeral services. If you are confident that you can arrange the burial without assistance, you can opt for the money. The money can then be spent using your chosen providers. IN most cases, it will be better to use AVBOB from start to finish. Do I Have to go for Medicals? With funeral insurance, there are no medical examinations required. You do not even have to answer any medical questions. Providers give applicants the benefit of the doubt. There will be a 6 month waiting period for any natural causes of death. This is to ensure that people don’t take out protection on their death beds. To compensate for this, the policy has built in accidental death cover. If an insured pass away from an accident, the payout will double. Accidental death will be covered from the first premium. How Quickly are Claims Settled? Most funeral policies will pay claims within 48 hours. AVBOB will always strive to settle claims within this period. In most cases it will actually be sooner. It is important to submit all the required documents as soon as possible. This will help speed up the claims process. They know the importance of paying claims quickly. They will always do their best to get it done as fast as possible. What is the Retrenchment Benefit? A 15% addition on the sum assured on the main life which, if needed, can be converted into a FREE six-month retrenchment benefit*.